EL PASO, Texas -- You'd be hard-pressed to convince anyone to travel to El Paso just to play golf, but that doesn't mean there isn't good golf here. There isn't a lot, mind you, but the handful of good public golf courses are very affordable. Tom Fazio's Butterfield Trail Golf Club is one of the best municipal courses in the U.S. If you like Mexican food and a dry, warm climate for most of the year, the Sun City is a pretty good destination. There are more than 700,000 people here and something else you might not expect in Texas -- mountains. The golf is the icing on the cake. El Paso is about 800 miles west of Houston, 635 miles from Dallas and 565 miles from San Antonio. Yep, it's basically in the middle of nowhere. To put it in perspective, Los Angeles is closer to El Paso than Houston, and Phoenix is much closer. There's also elevation. At more than 3,000 feet, many golf shots will play a club less. Simply put, El Paso is pretty unlike anything else in Texas. My favorite course in El Paso and one of the best in Texas is Butterfield Trail Golf Club. This really good 7,500-yard Tom Fazio design is also one of the best municipal courses in the country. From the very first hole, the views are stunning. 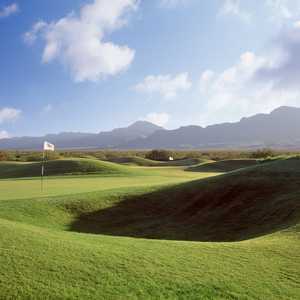 It's a big golf course with links characteristics that make you forget that you're in El Paso. Fazio moved a lot of desert to create mounding, sloping fairways, huge waste bunkers and large greens. Butterfield Trail is actually on the property of the El Paso International Airport, which owns the golf course, so visitors can fly in and get out to the course in a matter of minutes. The airport also owns Lone Star Golf Club, which is the former Cielo Vista Golf Course. In recent years, Lone Star has been completely revamped with new greens and bunkers. It's decent test as a 6,800-yard par 71. My second favorite course is Painted Dunes Desert Golf Course, a 27-hole layout designed by Ken Dye and Jeffrey Brauer on the north side of town. Dye is a Houston-based architect who also did two of the top rated courses in nearby New Mexico -- Paa-Ko Ridge Golf Club and Pinion Hills Golf Course. Brauer has an impressive list of credits, which includes Cowboys Golf Club in Grapevine near Dallas. Simply put, at less than $30 during the week, Painted Dunes is one of the best bargains in the country. 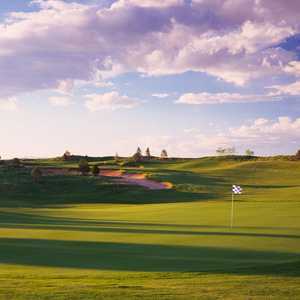 There are a few other courses you might want to consider in El Paso like Vista Hills Country Club and Emerald Springs Golf Conference Center that both used to be private, but I'd recommend making the short trip to Las Cruces, N.M., less than an hour away, for two more excellent options. Unlike the Tex-Mex in the rest of the state, El Paso's Mexican food is a little more authentic, minus the chili con carne and yellow processed cheeses you find in the eastern part of the state. It's hard go wrong almost anywhere, but there are a couple of places that are can't-miss. Carlos and Mickey's Mexican Restaurant, located just minutes from the airport, serves a dish called the "Revolution." It features a sampling of the restaurant's best items, including a dynamite chile relleno. Another El Paso institution, Fortis Mexican Elder, features a vast array of dishes, including terrific green chile enchiladas and tamales. Both places serve up perfect Margaritas as well. El Paso offers hundreds of hotels, such as the Airport Holiday Inn, Radisson, Hyatt and the historic Camino Real located in El Paso's revitalized downtown. Many of the hotels offer packages with local golf courses. Your comments about the courses in and around El Paso are right on, but you missed my second favorite (nothing beats Pakko) which is Red Hawk in LasCruces.. 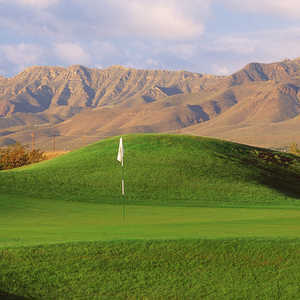 The course in Elephants butte is a must play if you are in the ares as well.